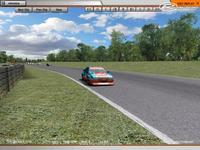 This is a simulation rendition of Shiraoi Car Land in northern Japan. It's the second real-life track I've built located in this region, after Hokkaido Speed Park, but it seems this one is much more obscure still. It's supposedly the oldest real racing track on Japan's northern island of Hokkaido, but it's not even mentioned in many track lists. Nevertheless, it's a pretty remarkable club track in some respects: most of it is very fast, it's got a long straight which is HUGELY wide (especially for a club track!) and a similarly wide Turn 1 (good for some insane drifts and/or overtaking manoeuvres), then gradually leads into a twisty section, which ultimately leads back onto the straight again. It's also got a fairly remarkable history: Shiraoi opened in 1970 as Hokkaido Speedway, but shut down again in 1973 after several accidents and lay derelict for decades. Then, in 2001, it was revived, remodernised, and opened again as Shiraoi Car Land under new management. In 2006, an inner kart/drift circuit was also opened (which is also modeled in this sim version - drive out left of the pits to get onto it). 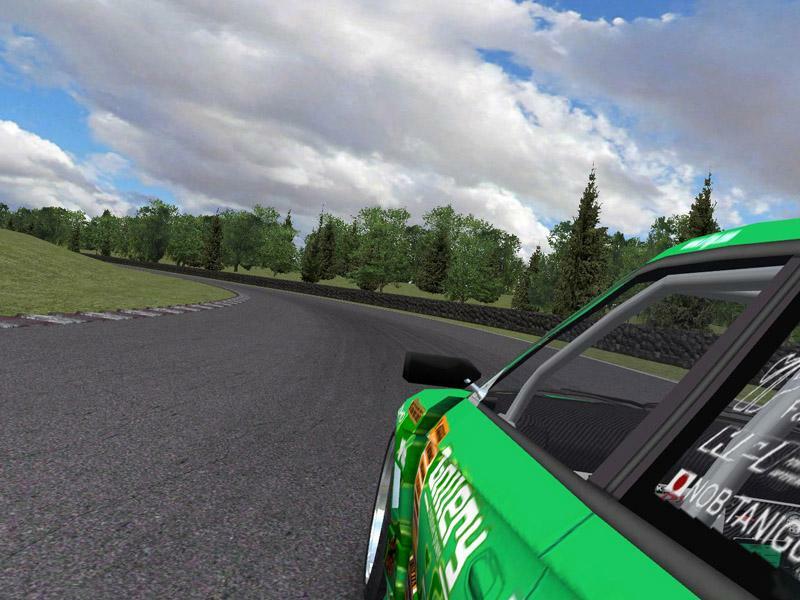 Mostly, the main track is used for Japan-style club touring car races - this is where the big Supras and AE86s do battle high-speed style! - but also for drifting and some historic meetings. The track was mainly developed and tested for rFactor, GTR2 and GTL (running on a Mac) using Bob's Track Builder. 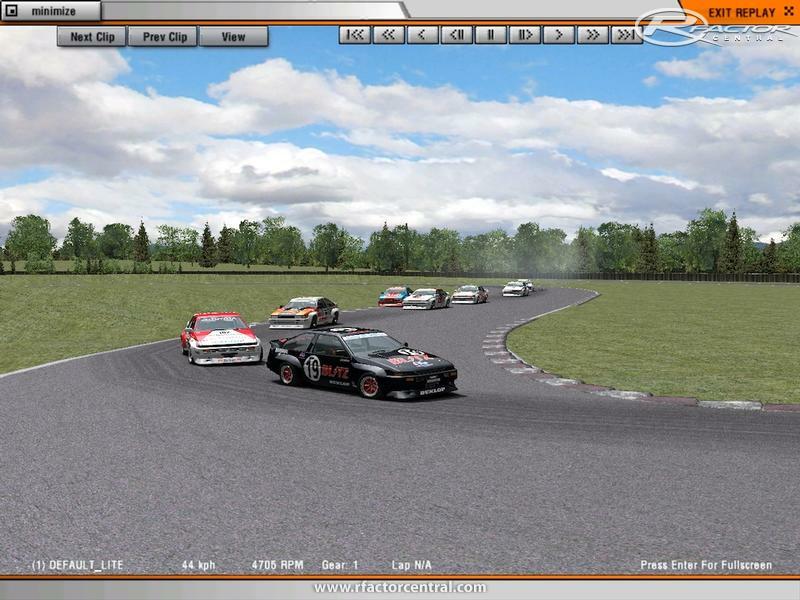 Since the real track is mainly used for club and historic racing, tests were done using the AE86 V2.0 mod, Vintage Formula Vee, GTL cars (modded), Siim & Niels' Supra IV mod, Plickbadger's Spec Miata and other lower-powered mods. Conversions of this track are expressly allowed, as long as proper credit is given. Commercial used is only allowed with permission. Apart from that, this track is free. Note: This track is SCREENIEWARE! If you like it, please make some nice screenshots for display on sim racing sites and if possible, some nice onboard videos of Hot Racing Action. 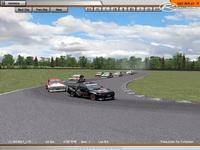 Unfortunately I can't make videos myself, since replay export from rFactor doesn't work when running on a Mac. - There's no AI or timing for the separate inner circuit. 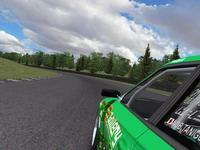 You can drive it, drift your heart out (altho it's pretty narrow), but it's not raceable as of yet. There are currently no setups for Shiraoi. Add a Setup. Hello Raido! I was wondering what pack that Green car is from. Is that the Kei Office S15?? Hi Nitro, adjusting the AI slider works ok of course, but you'd be adjusting AI for *all* your tracks - in other words, you'd probably have to readjust again for other tracks. Adjusting the .aiw is a bit more involved but only modifies AI speed on this one track. I'll see what I can do about the drift/kart track, btw. (It's mosly used for drifting I think, going by Youtube videos). This track looks good in rFactor. I've never been there, but from what I can see on Google Earth I suppose this is how the real track looks. You could release the inner track as a separate kart track with working AI. Now I have to drive full speed in the pit lane to reach the track, otherwise my kart can't cross the sand between the pit lane and the track. I don't understand this: "NOTE: If you'd like the AI to speed up or slow down a bit, raise or lower the Worst/Mid/Bestadjust values in the .aiw file by about 0.1 at first and experiment a bit until you're happy with it." Why? Why not adjusting the "AI strength" slider in the Advanced Difficulty section in rFactor, which is far more easy compared to changing some values in a text file?